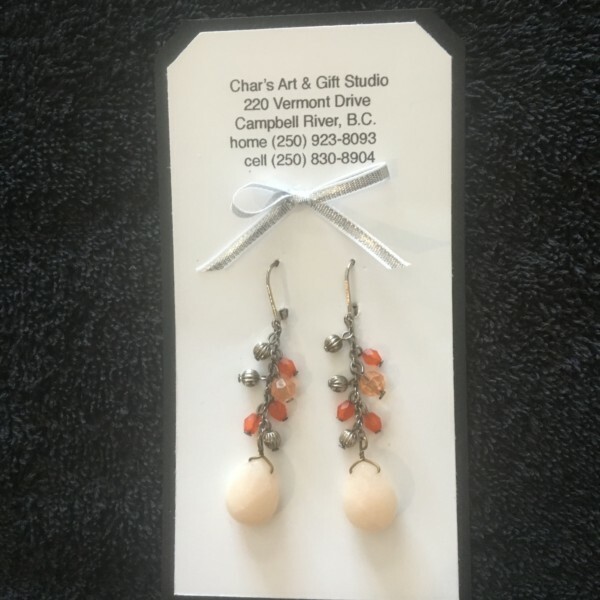 These cute things can be worn with any little summer dress. 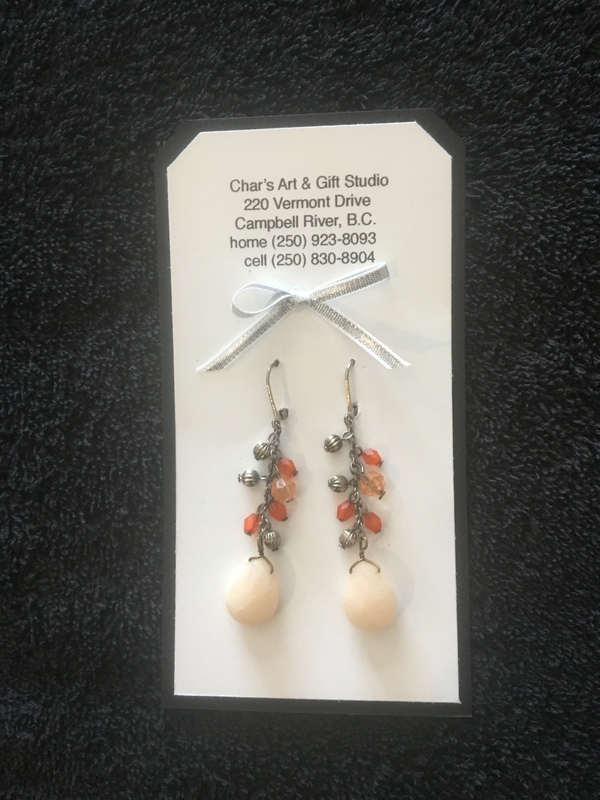 The orange, coral and pink beads give a very delicate look. 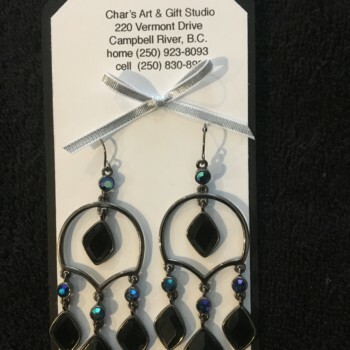 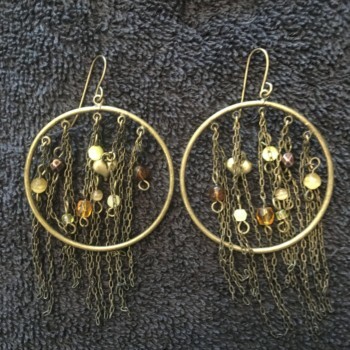 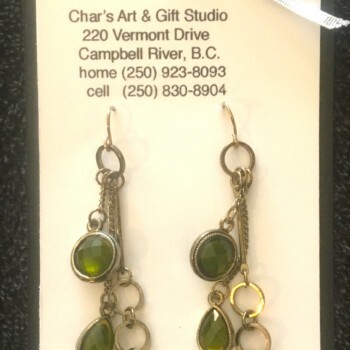 The tiny silver globes intwined amongst the beads make these earrings interesting.